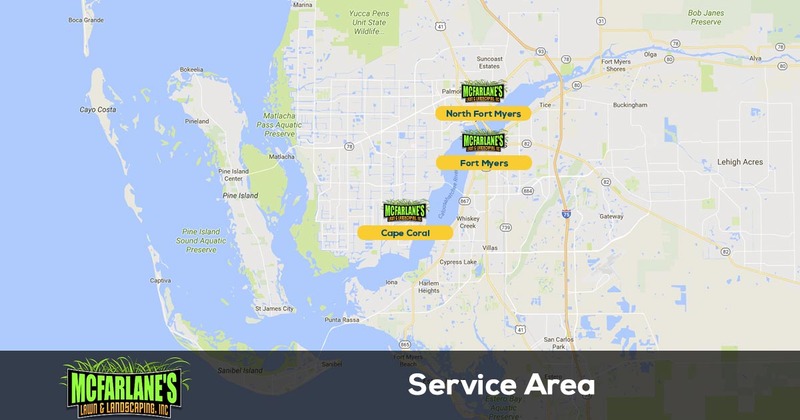 Our Lawn Service Area Includes Cape Coral and Fort Myers Area. Since 2010, McFarlane's Lawn & Landscaping has been providing professional lawn care and landscaping services to home and business owners in our service area and have become the industry leader in the market. 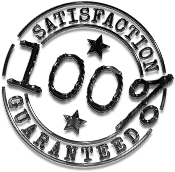 As you would expect from the industry leader, we offer a 100% satisfaction guarantee with all of the service we provide. So there is absolutely no risk for you to try our services, and experience the same great service that so many of your neighbors already are from the team at McFarlane's Lawn & Landscaping. If you have been looking for a local lawn care and landscaping provider to assist your with maintaining your property then look no further than the experts at McFarlane's Lawn & Landscaping. We offer a variety of lawn care and landscaping services including lawn mowing, bush trimming, mulch installation, tree trimming, stump grinding, sod installation, and flowerbed edging and curbing. By choosing our team of dedicated professionals you can guarantee that you will have a beautiful lawn and landscape for years to come. Our most popular services are recurring lawn care, mowing, and landscape maintenance. By having recurring services and schedule service days, we can help our clients enjoy total peace of mind and comfort when it comes to their lawn and landscape. By working with McFarlane's Lawn & Landscaping for all of your lawn, landscape, and tree trimming needs you can make sure that your lawn is always looking great. We are able to help by performing any of the lawn care or landscaping services you need, so give us a call today for fast professional service. Affordable lawn care and landscaping services are just a phone call away. Give the team at McFarlane's Lawn & Landscaping a call today at 239-220-8709 for a free quote on any of the services we provide.